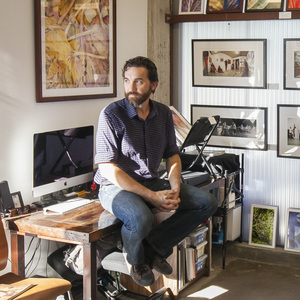 Visual artist Charles Heppner’s work spans many different mediums and has many themes but ultimately focuses on the sanctity of beauty, especially in nature, how its appreciation makes us human, communication, and the interconnectedness of everything. He is devoted to both being an artist and a great parent and has figured out how to be present in both as he has integrated his art practice into his life as a stay at home dad. As a parent he has figured out how to be responsible while keeping his projects moving forward which is not always easy. Years of making work along with daily creative discipline and a journaling practice have given him the confidence to ask better questions to explore through his art and at the same time not be attached to finding an answer. Give up control and follow your heart. He emerged from a fear of irresponsibility as an artist and the influence of pragmatic parents, having studied math in addition to art and working as a floor trader, to being a full time artist with a dream studio where he paints, creates box constructions, make scans, and works on photographs that he takes daily with his ever present camera. He is always looking with a curious eye for what is visually compelling and wants to share the beauty and magic he discovers. Fulfillment often comes from working consistently, always being prepared to capture moments, and searching for a way to add to the conversation and be in dialogue with other artists work. Charles is such a thoughtful and deep thinker. I really appreciate the way his mind works and his reverence and commitment to being an artist. The discipline he has around his daily practices is inspiring and makes so much sense when thinking about how to keep progressing with your work and keep your head in the game. My favorite takeaway from our conversation is the idea of figuring out which artists are important to you and what conversation you want your work to be a part of. 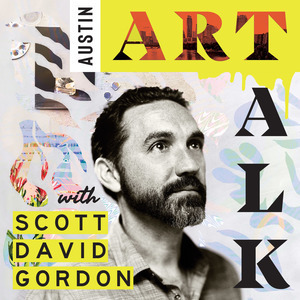 This is a great interview that I know many artists will derive value from.